Smoking rates have stalled in Australia, according to latest data. AUSTRALIA has been accused of falling behind the rest of the world and "resting on its laurels" over its poor results in the decline of cigarette smokers on World No Tobacco Day. It comes as the president of the Australian Medical Association defended the government's strict policy against changing its stance on e-cigarettes. Experts from the University of New South Wales' School of Public Health and Community Medicine and the Australian Drug Law Reform Foundation, along with GPs and addiction specialists have joined forces to form the Australian Tobacco Harm Reduction Association (ATHRA). The association gathered data from across the globe and discovered Australia, though once a leader in the area and despite our efforts at raising taxes and removing packaging, had fallen off the grid over annual smoking decline rates. The not-for-profit's aim is to improve public health awareness of tobacco harm reduction to reduce the devastating health effects of tobacco smoking in Australia. The data collected from the group shows that Australia's decline in annual smoking rates has almost stalled at 0.2 per cent between 2013-2016. 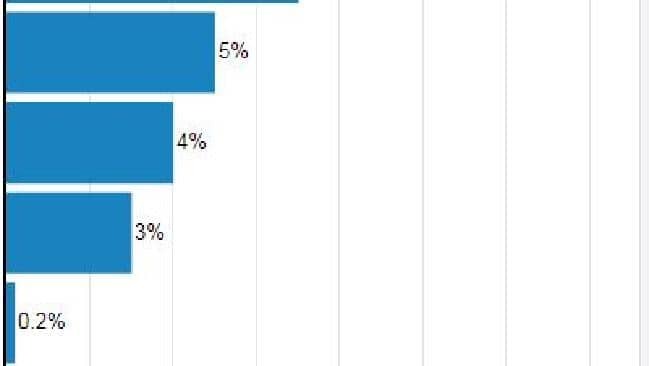 Australia lags behind Iceland, Norway, USA, the UK, Canada and New Zealand, where just last week the sale of nicotine e-cigarettes and e-liquid as consumer goods was legalised on the basis that vaping is a much safer alternative to smoking and could help many smokers to quit. "In [Australia in] 2013 and 2016 there's been virtually no change. Some people are saying there might have been a very small increase in the number of smokers - that's partly due to migration," ATHRA director Dr Joe Kosterich told news.com.au. "If we look at other jurisdictions, they've pretty much done similar things to what we've done; similar increase in taxation, banning smoking in public places, smoking health education. All of these things are really important moves but you then reach a point where you're not going any further. "Jurisdictions like Japan, Scandinavia, England in particular, Canada, have introduced and supported to varying degrees non-cigarette alternatives, whether it's vaping, heat-not-burn devices and snus (a moist powder tobacco popular in Scandinavia). "These jurisdictions have moved to these other forms of people using nicotine that doesn't involve people smoking cigarettes and their rates of smoking are declining. "The difference between them and us is they've adopted these new technologies and we haven't." Last month, NSW Parliament passed into law the Smoke-free Environment Amendment Bill 2018, which bans vaping from the same spaces in which cigarettes are banned, despite compelling evidence on e-cigarettes and heat-not-burn products published by Public Health England (PHE) that found e-cigarettes are saving thousands of lives each year. NSW joined Queensland, Victoria, Tasmania and the ACT in introducing laws banning the use of the controversial product from July this year in areas including shopping centres, cinemas, libraries, trains, buses, public swimming pools, parks, sports grounds and outdoor dining areas. In an interview with 3AW's Neil Mitchell this week, AMA President Dr Tony Bartone said there was "still a lot of work to be done on whether they [e-cigarettes] really do help people get off smoking". "A lot of the evidence coming through now is showing that actually all it does is defer or delay the decision to actually come off cigarettes, and a lot of people go back to cigarettes while coming down to it," he said. "But yes, we don't deny that it is less dangerous than smoking the actual real cigarettes, but it's about normalising the whole behaviour." Dr Bartone said the concern over legalising the use of e-cigarettes was that the act of smoking the device "normalises the act of smoking and almost glamorises it to the young population coming through". Dr Kosterich said the argument that e-cigarettes normalise smoking "is like saying giving a child a glass of water normalises vodka. It just doesn't". When a smoker puffs on a normal cigarette, at least 7000 chemicals are released due to the massive combustion caused by the cigarette's burn. Because this is absent in vapour. The chemicals in an e-cigarette are at levels less than 1 per cent of those in tobacco smoke and are reported to be 95 per cent less harmful than cigarettes. Yet Dr Bartone said it was too early to tell if there were any real dangers posed by the new devices. "We don't know what the harms are of smoking the vapour, inhaling the vapour. We don't know whether it works as a cessation aid fully. We say, let's see the evidence, let's see the proof. "I know that there've been some papers written to say that it does work, but they're really questionable trials." The Australian government's QuitNow website states: "Nicotine causes changes in the structure and function of the brain producing both positive experiences such as feelings of arousal, relaxation and improved concentration and negative withdrawal symptoms such as nervousness, restlessness, irritability." Addiction expert Dr Hester Wilson told news.com.au that in her experience, smoking "can be highly addictive, it's far more addictive than alcohol, cocaine or even heroin". "For the people that I work with that have other drug and alcohol issues, smoking generally is the last thing they manage to give up, they give up everything else but smoking is the hardest. Why smoking was the hardest of the substances to quit, Dr Wilson, who is working on a "Quit Nagging" campaign for nonsmokers, said it was the "million-dollar question". "The bottom line is it's a really complex interaction that our brains and body has with nicotine." Dr Kosterich agreed nicotine was the problem but he said that removing an alternative to nicotine therapy "doesn't make a lot of sense". "The idea of substituting nicotine is not new, this is just doing it via a different mechanism," he told news.com.au. "In an ideal world, people would do neither, but it's not an ideal world. Some smokers will go from smoking to vaping to nothing at all, and others will go smoking to vaping to vaping without nicotine because some people enjoy or need the hand/mouth movement and that's OK, we don't need to judge these people harshly. "Ideally nobody would do anything but we could certainly do more in this country to present smokers with a less harmful way. Worst case scenario is if you didn't stop altogether, but if you didn't you're doing something that's much less harmful. "How we regard that as a bad thing in this country, it doesn't make a lot of sense." • World No Tobacco Day is observed around the world every year on May 31. For more information, visit the World Health Organisation's website. • This World No Nagging Day hopes to help families and loved ones quit together. Visit quitnagging.com.au. 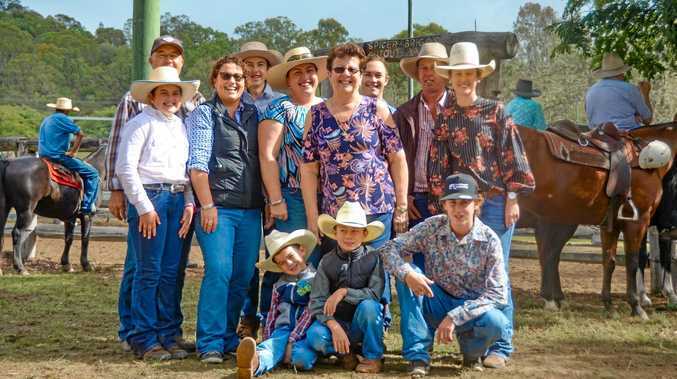 News Sandra Wallace held back tears watching her grandchildren compete in her late husband's memorial campdraft. News The Golcherts were surprised by the response they received. News Producers will receive agricultural updates and fantastic specials.